The magic of Chicago Coin’s boxes is on full display in the nostalgic Cowboy Box. This is incredible. Where can it be seen? 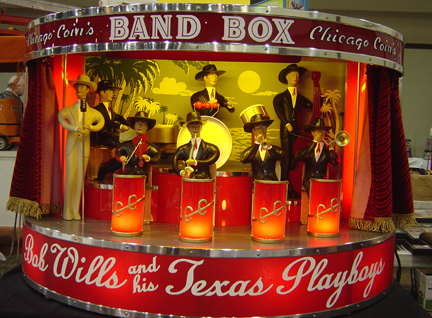 There has only been one cowboy band box ever made and it is in a personal collection.